When you file for divorce with children in New Jersey, the court determines child custody, parenting time and visitation rights. It also calculates the amount of child support to award, based on the parents' combined income. The New Jersey Department of Human Services outlines eight significant factors used to calculate child support. New Jersey also maintains a statewide child support system to help you recover court-ordered child support. The court considers all kinds of parents' income to calculate the amount of child support it awards. In addition to each parent's employment income, the court counts overtime, bonuses, tips and commissions. If the parent is not currently employed, the court calculates both the parents' unemployment benefits and the parents' earning potential. The parents' total income from all sources counts, except for welfare and disability benefits. Once the court calculates the total income of both parents, it takes into consideration the amount of taxes paid and other deductions taken out of the paycheck or other income. The court determines an appropriate amount of taxes to be paid out of the earned income, regardless of what taxes are actually paid. It also accounts for mandatory deductions, such as union fees. The court adds up the amount of taxes and mandatory deductions that each parent pays and subtracts that amount from each parent's individual income. Both parents' remaining income is then added together. The court uses their combined net income to calculate the amount of child support to be paid, based on state guidelines. The state guidelines outline the minimum amount of basic child support required, based on the parents' income level and their number of children. The court determines the percentage that each parent must contribute to the basic child support amount. If both parents contributed an equal amount of income to the family during marriage, they split the child support obligations 50/50 during divorce. If one parent provides 100 percent of financial support to the family, while the other parent cares for a disabled child, the court can require the one parent to pay 100 percent towards child support. The higher earner generally pays a higher percentage of the child support. The percentage each parent contributes towards the basic child support amount, often applies to the additional child support costs. Additional child support expenses include health care, dental care, childcare, special needs and tuition. These expenses are added on to the basic child support award. If these costs are not assigned to a parent individually, both parents share the costs. The court also determines the percentage of parenting time for each parent, and it considers that percentage in its child support calculations. If one parent takes sole parenting responsibility, the other parent is generally required to provide more support. A custodial parent who retains sole custody of a child often needs more financial support from a non-custodial parent, because of increased childcare cost and reduced work hours. When the court calculates child support based on the parents' income, it must also take into consideration the standard of living of the parents and the child, to ensure that neither parent nor child suffers from extreme poverty. Although the child's needs do come first, the court also considers a parent's ability to pay the child support without extreme hardship. 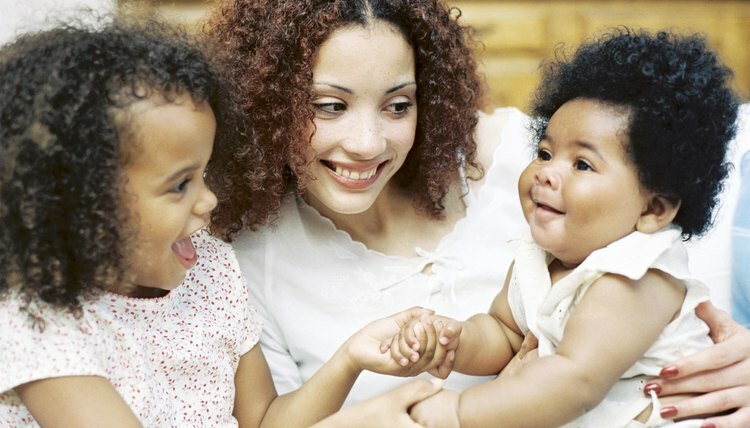 A final child support award is based on the parents' income, minus taxes, deductions and adjustments for parenting time. The state guidelines are intended to provide a basic amount of child support, to cover a child's necessities. In order to maximize a child support award, you must document all additional child support expenses and present that evidence to the court. Typically, Texas courts calculate child support by applying a flat percentage rate to the noncustodial parent's income. Although a consistent calculation would make going to court more predictable, courts in Texas will consider the overall situation before finalizing a child support order. Courts may adjust the initial calculation, particularly if caring for the child involves extraordinary expenses or the noncustodial parent has a greater than average income. Both parents are obligated to provide financial support to their children during and following a divorce. Child support is usually provided to the custodial parent by the noncustodial parent. However, there are many additional expenses, called extraordinary expenses, that are not included with the payment of child support. These additional expenses can be divided between the parents in several ways, depending on the circumstances of your case. If you are paying child support, you must be prepared to pay additional money above and beyond your support obligation in order to fund your children's additional expenses. What Percent of Income Does CT Take Out in Child Support for the Noncustodial Parent?